Rob Meade 6/0 shuffler – Coming soon! A problem with flyfishing for almost any native species is a love of the snags and cover. 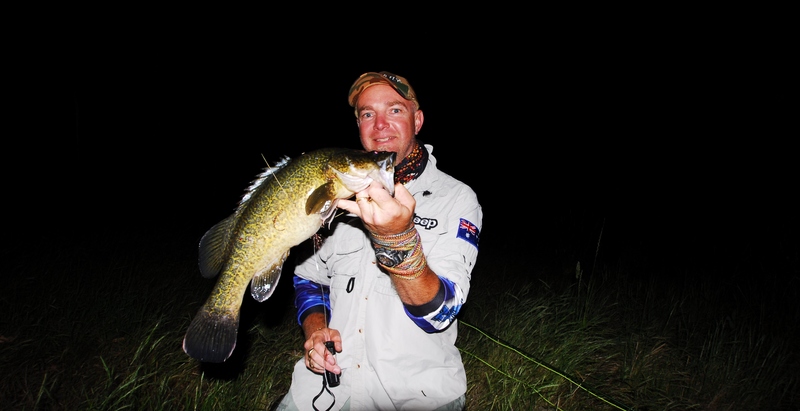 Sometimes the only way to interest fish like Murray cod and Barramundi, is to cast the fly right with them, and yet most designs, this almost guarantees a hang-up fly. 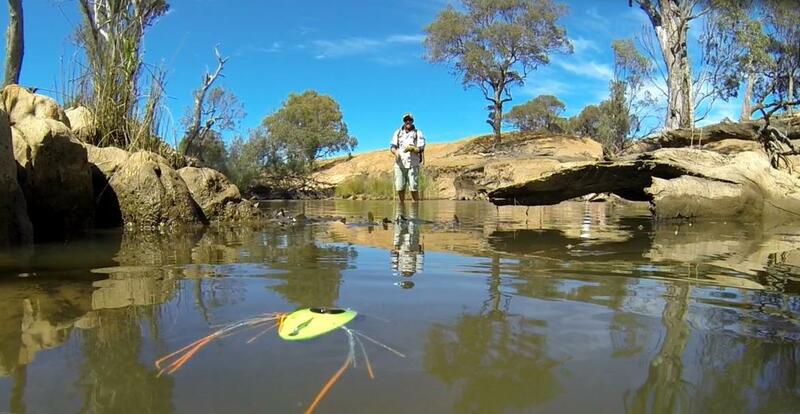 Casting flies at around Murray cod tangled lairs presented the age old issue of fly Vs snag! It was these challenges that spawned the development of the shuffler and other snag proof flies. This led Rob Meade to develop several patterns from the gutless frog to the shuffler. Creating such a fly made the hook point 100% snag-proof. You can cast the shuffler onto the bank, into weed of any kind, heavy timber structure and around rocky ledges. 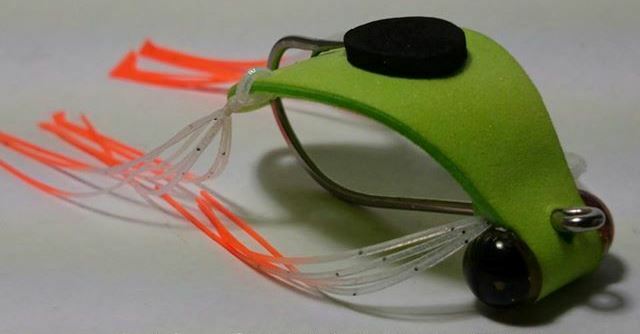 Rob’s innovated designs out shines any other fly on the market. With this it guides the angler to cast in to locations were you once never thought to! Cod opening off to a slow start!